Todd Hazelwood has gone back-to-back in the Dunlop Super2 Series ARMOR ALL Qualifying in Newcastle, scoring a decisive second pole of the weekend. The series leader set the best time with a 1:11.41s lap, ahead of Eggleston Motorsport rookie Will Brown. The Matt Stone Racing driver will start the final race of the season in prime position as he fights to take the Super2 series victory. The 22-year-old is just 11 points ahead of Paul Dumbrell prior to Race 2, but now has a major advantage after Dumbrell struck trouble in qualifying. 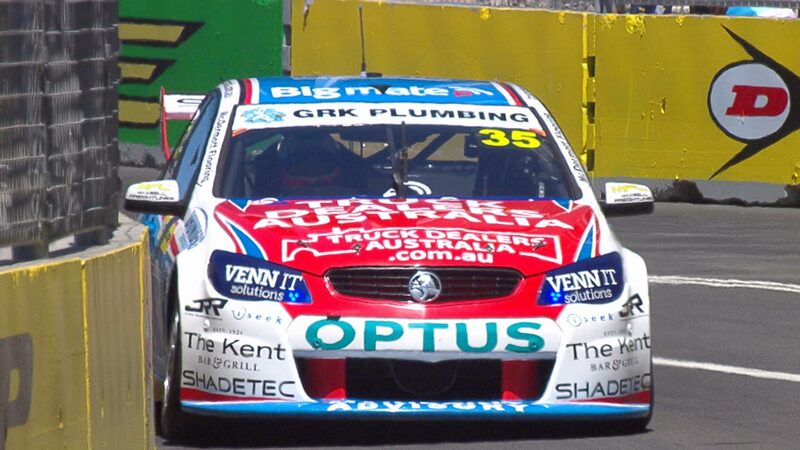 The veteran will line up at the back of the grid after being forced to park his Eggleston Holden during the session with suspected driveline issues. Matt White Motorsport teammates Jack Le Brocq, Shae Davies and Bryce Fullwood filled third through fifth aboard their Nissan Altimas. Macauley Jones, Jack Perkins, Anton De Pasquale, Garry Jacobson and Richard Muscat completed the top 10. Less than 0.7s covered the top 12 cars, with Josh Kean and Adam Marjoram rounding out the dozen. The Dunlop Super2 Series season finale commences at 2:20pm local time.